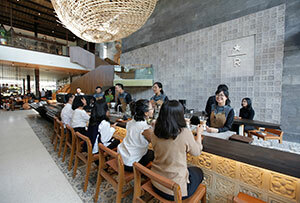 Starbucks Indonesia opened the doors to its Dewata Coffee Sanctuary on 12 January. The store pays tribute to the important role that Indonesia, the fourth largest Arabica coffee growing region in the world, plays in bringing Starbucks customers their coffees. 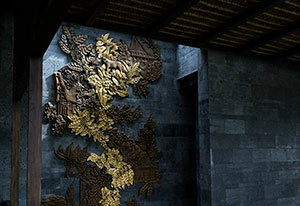 The store’s interior was inspired by traditional Balinese houses with free-flowing, connected rooms that promote discovery from one space to the next. “We began sourcing Indonesian coffees more than four decades ago and have always been struck by the sense of community and care for the coffee journey at every step,” Starbucks CEO Kevin Johnson says. 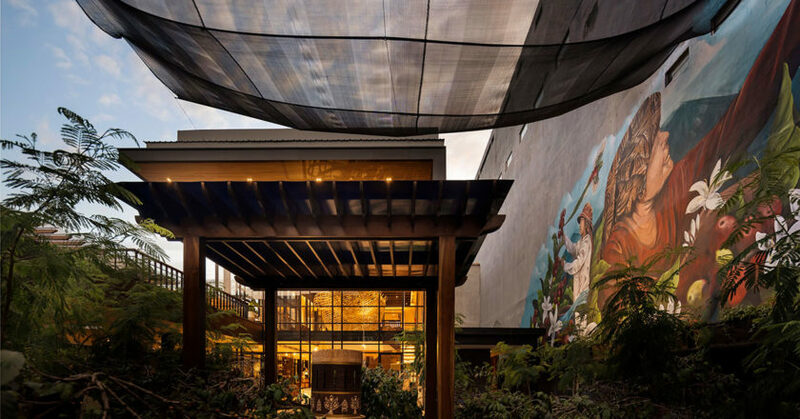 Located in Bali’s up-and-coming premium retail district on Sunset Road, the coffee sanctuary provides a curated series of interactive experiences. As customers enter, they’re greeted at the concierge reception and then guided through a working 90-square-metre coffee tree farm, the size of a typical Indonesian farm. Customers continue their journey through contemporary Balinese landscaping, passing coffee plants and a de-pulping station before trying their hand at washing, drying and raking green coffee beans. Inside, the expansive reserve bar offers customers an opportunity to taste Starbucks Reserve small-lot coffees, while the core bar offers Starbucks signature beverages. More than 100 Dewata-exclusive beverages, food and merchandise are available at the venue. Located on the second floor is the seedling nursery, a greenhouse canopied by panes of glass to create an open-air experience. Here, customers can touch the first stages of the seed-to-cup journey, as well as deepen their understanding of the art of tending to coffee plants alongside a local Balinese farmer. In the adjoining tasting room, customers can enjoy coffee as coffee quality professionals do, without a filter – simply coffee and water – to draw out the flavours that set each cup apart. For those looking for more, visitors can engage with an interactive video wall and hear how coffee is planted, processed, roasted, shipped and brewed into a cup of espresso. On the second floor, a dedicated media room features two synchronised video walls, showcasing the work of the Starbucks Farmer Support Center in Sumatra and agronomist Dr. Surip Mawardi’s work with Indonesian coffee farmers. The store’s interior was designed in partnership with local craftspeople and artists to tell the story of coffee in Indonesia. This is brought to life by a wood carving depicting the country’s six coffee growing regions’ local culture and architecture. A two-story mural in the courtyard pays tribute to local farmers who carefully nurture and protect the beans each step of their journey to Starbucks.